For the truly determined athlete, sport isn’t just about optimizing one’s physique, it means maximizing one’s inner mental resources. Sadly, not everyone gets the chance to experience the marvelous freedom of competing against oneself or others through sports. This is especially true of children who’ve grown up in unimaginably poor homes where even basic human needs are often unaffordable luxuries. With no chance to nurture a winning mentality, such kids grow up lacking in qualities most of us take for granted. Since its establishment in 2008, the positive impact the SFHF has had on these youngsters’ lives has been simply incalculable. Encouraged to train in various sports, they are really starting to blossom, regularly winning games and competitions. This has ultimately helped create unity within schools where previously under-performing students have begun to start believing in themselves and their abilities. The iconic SHFH logo effectively says it all. The Chinese character「燃」literally means "ignite" and perfectly encapsulates SFHF’s desire to unleash the inner power of every individual, regardless of their background. Determined to unearth potentially exceptional athletic abilities, SFHF ensures disadvantaged sporting talents receive the resources every competitive athlete needs to succeed and hopefully go on to challenge the world! 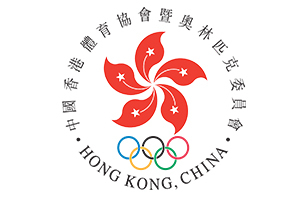 The Sports Legacy scheme started by the Hong Kong Olympic Committee. This scheme aims to benefit secondary schools in underprivileged areas of Hong Kong to provide them with training facility and training assistance. With our help this year, the Olympic Committee was able to expand beyond the pilot scheme. The new scheme was launched successfully on 1st September 2012 in two selected secondary schools, namely Wong Shiu Chi Secondary School (王肇枝中學) and Sheung Shui Government Secondary School (上水官立中學). Three retired athletes, now the Sports Legacy Coaches from the sports of athletics, fencing and football have developed school sport teams for their respective schools since September 2012. 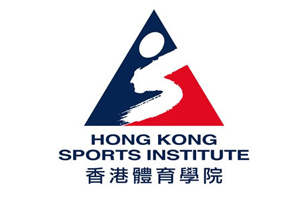 Title sponsored by the Sports for Hope Foundation, presented by the Hong Kong Sports Institute and with the support of the Sports Federation & Olympic Committee of Hong Kong, China and the Hong Kong Sports Press Association, the Outstanding Junior Athlete Awards program is to recognize outstanding sports achievements of local talented young athletes on a quarterly basis and encourage athletes to strive for excellence. 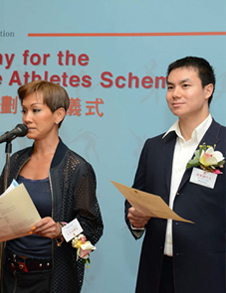 Our donation to CUHK went towards the sports development areas of individual scholarship, sport teams training and sports teams captain training. 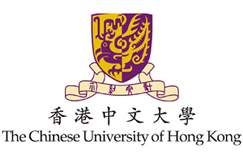 The objective of the individual scholarship scheme is to provide financial support to promising sport talents who have excellent sport performance and financial needs; The purposes of CUHK sports team training are to build spirit and unity among the team members and enhance the skill set of the teams; The aims of the sports teams' captain training are to enrich the understanding among captains from each University Sports Team and facilitate the communications and friendship via the training camp. This will help enhance captains' self-esteem, self-awareness and organizational skills, hence to assist team coaches on training and help both team and teammates to have sustainable development.